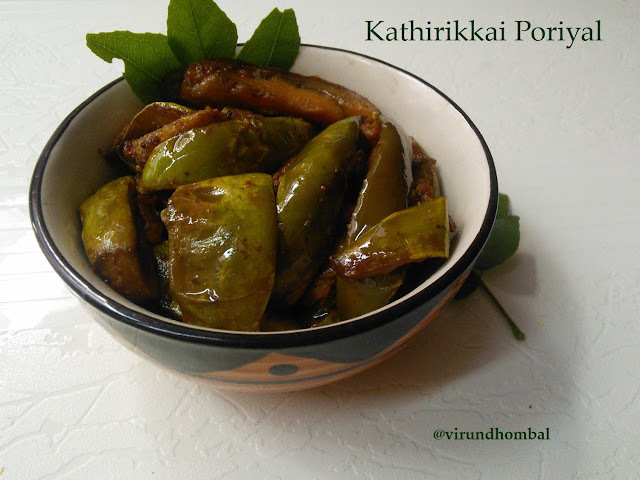 Brinjal poriyal is a spicy and tasty side dish for many South Indian dishes. 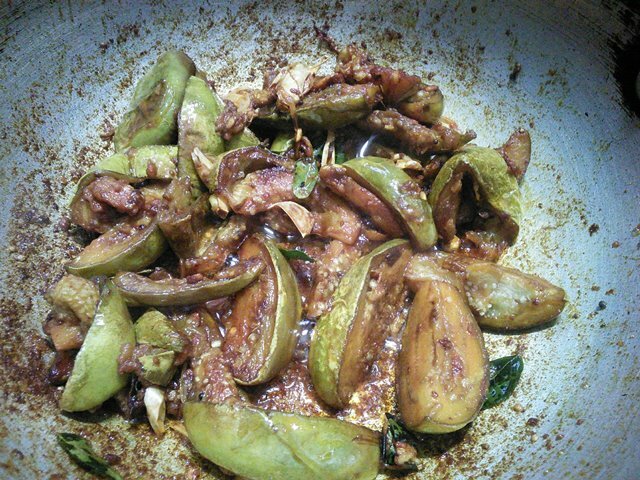 And also, for those who want to eat brinjals simply as a starter with less oil, this brinjal poriyal is the best one. For this brinjal poriyal, pick brinjals with smooth skin and heavy in size. 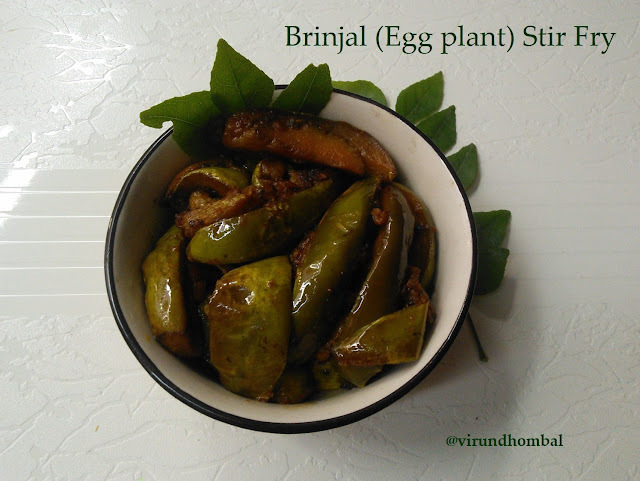 You can use any kind of brinjal you have on hand. 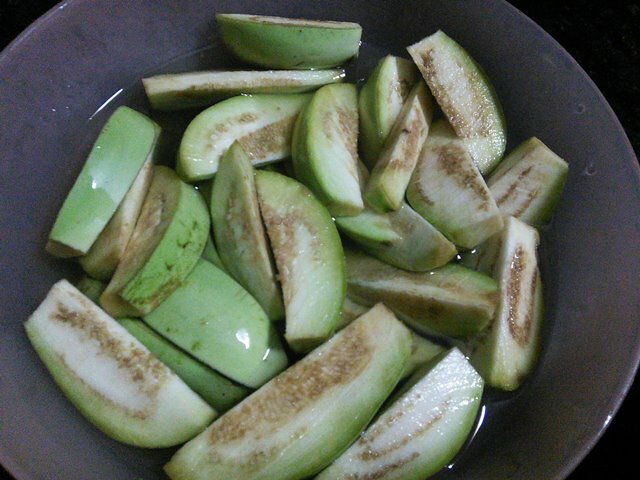 Recently, I made it with green brinjals. It's hard to cook crispy brinjals with a short time of cooking. 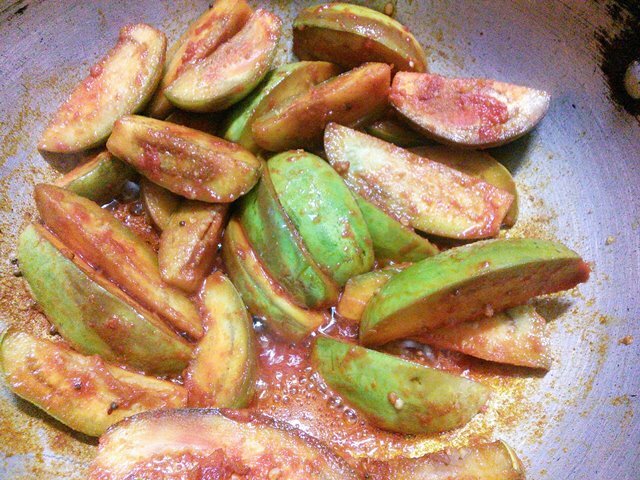 But it is possible if you cook the brinjals on medium heat with frequent turns. 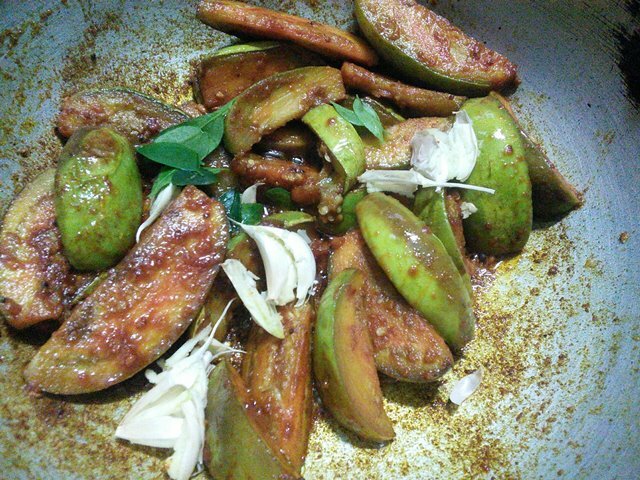 One more trick to get crispy brinjals is to cook the brinjals in a heavy bottomed kadai and without any water. I prefer gingely oil or groundnut oil for brinjals and for brinjal poriyal I always use crushed garlics. Serve this brinjal poriyal with lemon rice, mango rice or rasam. Cut the brinjal in half lengthwise and cut each half into halves lengthwise. Add these brinjals in a bowl filled with salted water. Heat oil in a heavy bottomed kadai and add the mustard and urid dal. Allow them to crackle well and add the brinjals. Stir them well and add the required salt, turmeric powder and chilly powder. Cook the brinjals on medium heat with frequent turns. Drizzle some oil and stir it. 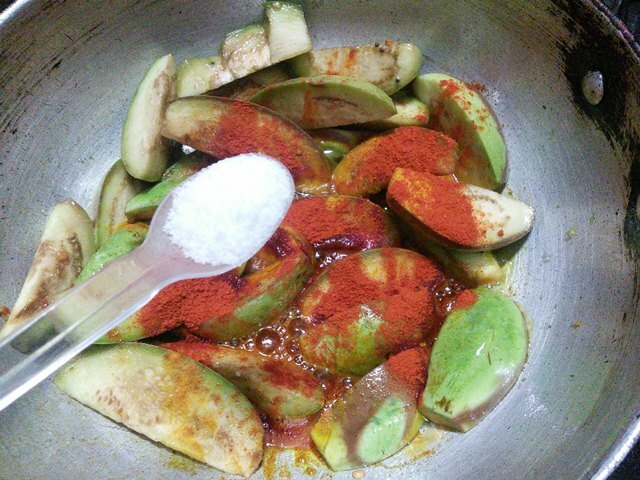 When the brinjals are half done, add the curry leaves and crushed garlics and cook them on medium heat. Continue to cook on medium heat until it starts to turn brown on the edges. When all the brinjal slices start to turn brown gently turn them and cook for another 5 minutes and turn off the heat. Keep it in the kadai heat for 5 minutes and then transfer it to the serving dish. 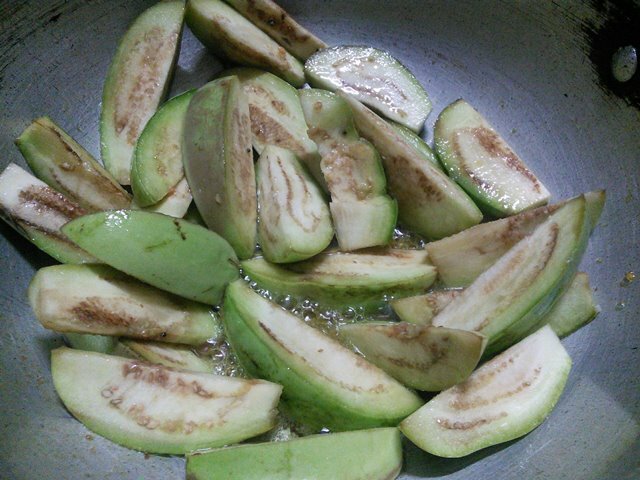 Wash the brinjals and remove the stem. Cut the brinjal in half lengthwise and cut each half into halves lengthwise. Add these brinjals in a bowl filled with salted water. Continue to cook on medium heat until it starts to turn brown on the edges. When all the brinjal slices start to turn brown gently turn them and cook for another 5 minutes and turn off the heat. Keep it in the kadai heat for 5 minutes and then transfer it to the serving dish.